Why Refunding Edinburgh’s Garden Waste Charge Won’t Solve the Fundamental Problem. I am still against the so called Garden Tax. A clear majority of Edinburgh’s 63 Councillors are in exactly the same position. Indeed, many of those that voted for it did so only because it was combined with a package of more positive measures. Despite this strength of resistance, Edinburgh’s “opposition” parties have been unable to coalesce around any sort of viable alternative and force the minority SNP led administration to do a u-turn. Indeed, although many Councillors were rightly critical of the ongoing waste collection crisis our Capital is facing, I was the only one that raised any questions about what was planned when details were presented in the City Chambers several months ago. Perhaps if more questions had been asked, many of the problems faced could have been avoided – not least the stress the garden waste registration system has caused many older and vulnerable people in Edinburgh. Indeed, there have only really been two substantive developments since the Garden Tax was first proposed. Firstly, Labour managed to mitigate the impact of the original SNP proposal by arguing that the poorest households should be exempt. Secondly, the Liberal Democrats managed to have the Council consider the possibility of a refund for those that have suffered collection delays (report, 23/11/18). Although I am delighted that a refund is at least being considered as it’s a tacit admission that the performance of the service has been unacceptable, I do wonder where that money will come from and how it can be efficiently processed. 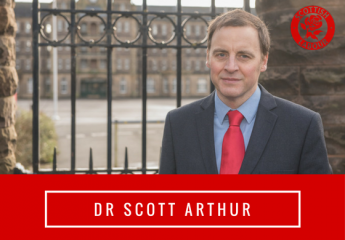 After all, the chaos in Edinburgh’s waste collection system is a direct result of the cuts the SNP is forcing on our Capital – 10 times the level of Tory austerity since 2013. Given that these cuts are set to continue with the support of the SNP council leader, where will the refund cash be found? I have asked the Liberal Democrats repeatedly, but so far they have refused to answer. They know that services are failing because budgets are being cut to the bone and that refunds won’t solve that fundamental problem.